New B&B spoilers show Ridge pleading his case to the judge. Bold and the Beautiful spoilers for Friday, September 21 reveal that Ridge Forrester (Thorsten Kaye) and Judge Craig McMullen (Joe Lando) go way back, while Brooke (Katherine Kelly Lang) wishes that she didn’t have to keep any secrets from her husband. The only person who doesn’t appear to have any secrets is Katie Logan (Heather Tom). 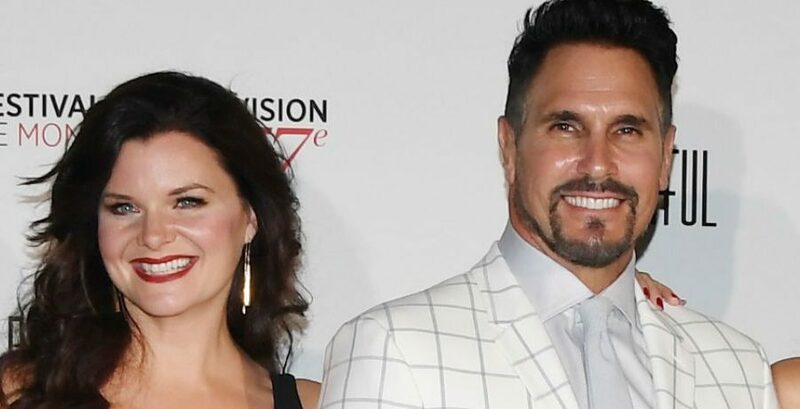 She is not afraid of clarifying what she thinks of Bill’s (Don Diamont) parenting skills, according to the Bold and the Beautiful spoiler video. Ridge didn’t need to be asked twice and promptly told his old friend that he needed to give sole custody of Will Spencer (Finnegan George) to Katie. Bold and the Beautiful spoilers show that the two will continue to talk while Ridge explains why he needs the judge to rule in Katie’s favor. Bill is determined to win at all costs, which is why Brooke has come in so handy. He is using her to speak to Katie on his behalf as she also doesn’t believe that Bill should lose custody of Will. However, it seems as if Brooke has developed a conscience and feels bad for going behind her husband and sister’s back. When she tries to explain her inner conflict to Bill, BB spoilers state that he will tell her that nearly all spouses keep secrets from each other. “Bill is an occasional father. He sees Will on his terms and his terms only. Initially, Katie was hesitant about filing for sole custody, but as the weeks progressed she became convinced that she was doing the right thing. The B&B preview clip shows that she will explicitly state why she believes that she should have sole custody of Will. She feels that Bill is not a consistent father-figure in their son’s life, as he chooses when he will spend time with Will. Tune in to Bold and the Beautiful, then check back with the Inquisitr for new spoilers, updates, and soap opera news.